Depth: 185 - 190mm 7 2/5"
Diameter: point to point: 115mm 4 3/4"
Diameter: flat edge to flat edge: 105mm 4 1/8"
The natural properties of terracotta make it ideally suited as a material for the storage of wine, maintaining a cool, even temperature. 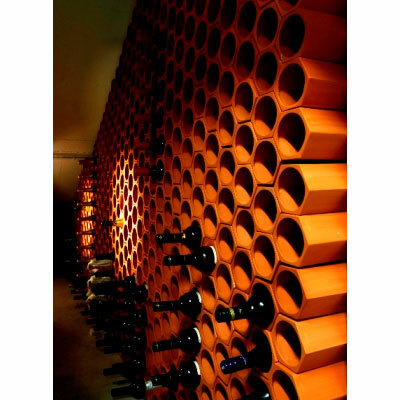 This thirty unit (30 wine bottle capacity) terracotta wine rack has been designed to interlock with others to create an extremely versatile, flexible and dramatic wine storage system of virtually any size desired. 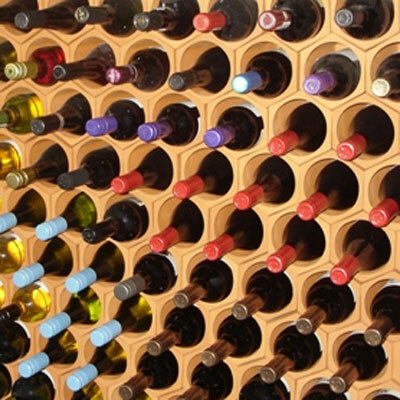 The individual hexagonal sections, and combined unit blocks, can be stacked together to build into a freestanding unit of almost any shape and size, or as a feature wine rack to fit a specific space or cellar wall. 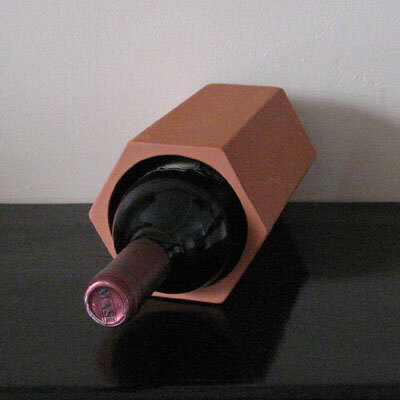 Alternatively, and unusually, the terracotta wine rack holders can also be used individually as wine coolers. When soaked in water, terracotta has a natural cooling property. Terracotta vessels have been used for many centuries in hot climates as the traditional means for storing & cooling water, wine and other liquids. 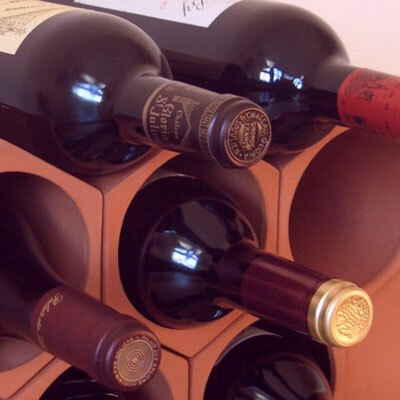 Finally, terracotta wine racking is naturally never adversely affected by damp conditions or insects, making it far more durable than wooden wine racks, as well as quite the talking point at wine tastings. 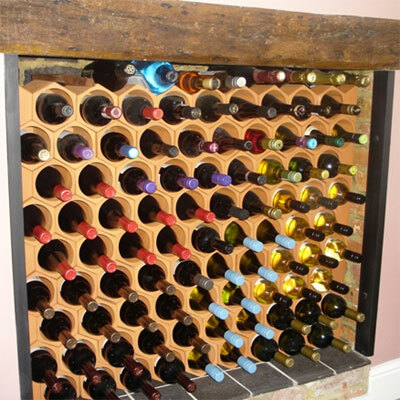 Produced in the uk, these wine racks are made from highest quality terracotta clay and high fired to produce a durable end product.